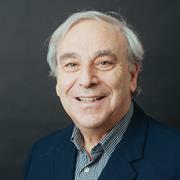 Peter I. Lelkes, PhD, is the Laura H. Carnell Professor and Founding Chair of the Department of Bioengineering in the College of Engineering at Temple University. Dr. Lelkes is also the Inaugural Director of the Institute for Regenerative Medicine and Engineering (TIME) at Temple University’s School of Medicine. Prior to that he was from 2000-2011 the Calhoun Chair Professor in the School of Biomedical Engineering, Science and Health Systems at Drexel University in Philadelphia. Dr. Lelkes has received numerous honors and awards, nationally and internationally. Amongst them a Forchheimer Visiting Fellowship at the Hebrew University, Jerusalem, Honorary Professorships at the University of Applied Sciences Aachen, Germany and the Changchun Institute of Polymer Chemistry and Physics, Chinese Academy of Sciences, and a Distinguished Visiting Fellowship of the Royal Academy of Engineering at Imperial College, London, UK. In 2011 he was inducted as a Fellow of the AIMBE (American Institute for Medical and Biological Engineering) and received the 2012 Ben Franklin Key Award from IEEE, the Institute of Electrical and Electronics Engineers. Throughout his career of 30+ years, Dr. Lelkes has received over $18 million in funding from numerous federal and private funding sources. Dr. Lelkes has organized several Keystone conferences, published more than 175 peer-reviewed papers, authored more than 50 books / book chapters and made more than 400 presentations nationally and internationally. In his “free-time” Dr. Lelkes is an active chamber musician and likes to hike in the mountains. Brooks, A.R., Lelkes, P.I., & Rubanyi, G.M. (2002). Gene expression profiling of human aortic endothelial cells exposed to disturbed flow and steady laminar flow. Physiological Genomics, 2002(9), pp. 27-41. Har-el, Y., Gerstanhaber, J.A., Baharlou, S.M., Lo, T.Y., Hindin, D., Brodsky, R., Huneke, R.B., & Lelkes, P.I. (2015). Bioactive Alimentary Protein-Based Scaffolds (APS) Enhance Wound Healing. PA BIO Life Sciences Future Event. Gerstenhaber, J.A., Har-el, Y., & Lelkes, P.I. (2015). Electrospinning of Personalized Scaffolds for Wound Healing by Robotic Electrospinner. Biomedical Engineering Society Meeting. Har-el, Y., Gerstenhaber, J.A., Baharlou, S.M., Lo, T.Y., Hindin, D., Brodsky, R., Huneke, R.B., & Lelkes, P.I. (2015). Bioactive Alimentary Protein-Based Scaffolds (APS) Enhance Wound Healing. BIO International Convention. Mata, M., Har-el, Y., & Lelkes, P.I. (2014). Airbrushing of 3D scaffolds for tissue engineering. The 40th Annual Northeast Bioengineering Conference. Gerstenhaber, J., Har-El, Y.E., & Lelkes, P.I. (2014). Robotic electrospinner for quality control and online modification. Fiber Society 2014 Fall Meeting and Technical Conference: Fibers for Ã¿Â¿Ã¿Â¯Ã¿Â¿Ã¿Â¿Ã¿Â¿Ã¿Â½ the Future. Har-El, Y.E., Gerstenhaber, J., Baharlou, S.M., Brodsky, R., Huneke, R.B., & Lelkes, P.I. (2014). Alimentary 'green' proteins for skin wound healing. Fiber Society 2014 Fall Meeting and Technical Conference: Fibers for Ã¿Â¿Ã¿Â¯Ã¿Â¿Ã¿Â¿Ã¿Â¿Ã¿Â½ the Future. Har-El, Y.E., Frohberg, M.E., Ayaz, H., Perets, A., Uttayarat, P., Gerstenhaber, J., & Lelkes, P.I. (2014). Diverse biomedical applications of electrospun scaffolds. Fiber Society 2014 Fall Meeting and Technical Conference: Fibers for Ã¿Â¿Ã¿Â¯Ã¿Â¿Ã¿Â¿Ã¿Â¿Ã¿Â½ the Future. Gerstenhaber, J., Har-El, Y.E., & Lelkes, P.I. (2014). Robotic electrospinner for quality control and online modification. Fiber Society 2014 Fall Meeting and Technical Conference: Fibers for the Future. Har-El, Y.E., Frohberg, M.E., Ayaz, H., Perets, A., Uttayarat, P., Gerstenhaber, J., & Lelkes, P.I. (2014). Diverse biomedical applications of electrospun scaffolds. Fiber Society 2014 Fall Meeting and Technical Conference: Fibers for the Future. Har-El, Y.E., Gerstenhaber, J., Baharlou, S.M., Brodsky, R., Huneke, R.B., & Lelkes, P.I. (2014). Alimentary 'green' proteins for skin wound healing. Fiber Society 2014 Fall Meeting and Technical Conference: Fibers for the Future.